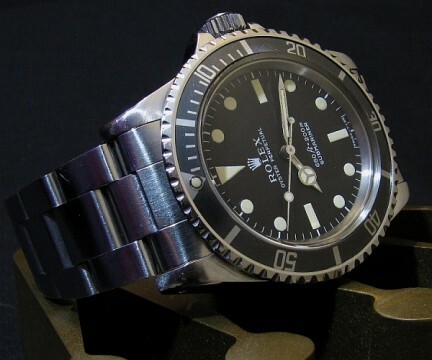 Here we have a Rolex Submariner 5513 For Sale from the 1970’s. 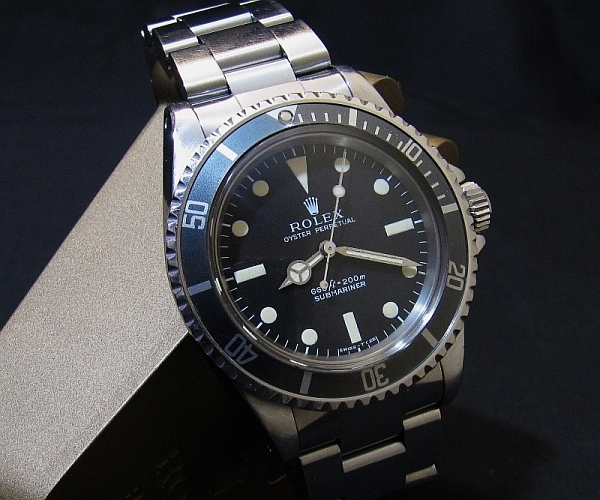 This is a truly beautiful and classic Rolex Submariner 5513. A 3.2m serial dating from the 2nd quarter of 1972 it has a perfect matte dial that has mellowed to a beautiful dark grey. The hour markers and hands have turned a stunning creamy yellow that set off this dial superbly. With a thick fat case, perfect grey bezel insert and matching cream pearl this really is one superb watch on your wrist. 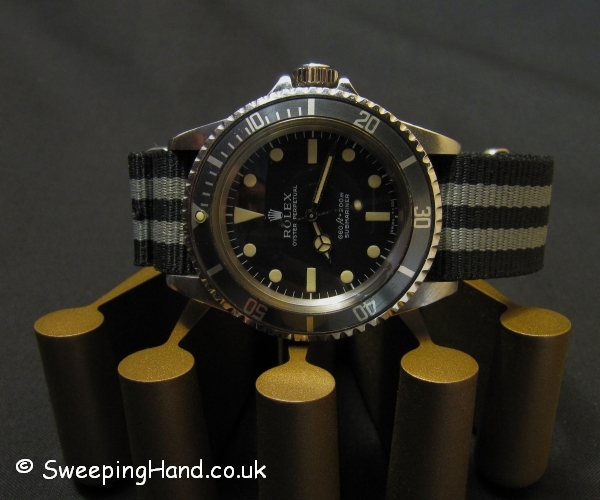 Really looks the part on both a grey/black nato strap to give it that James Bond Rolex look or a classy dress watch with its original Rolex 7206 folded link bracelet. 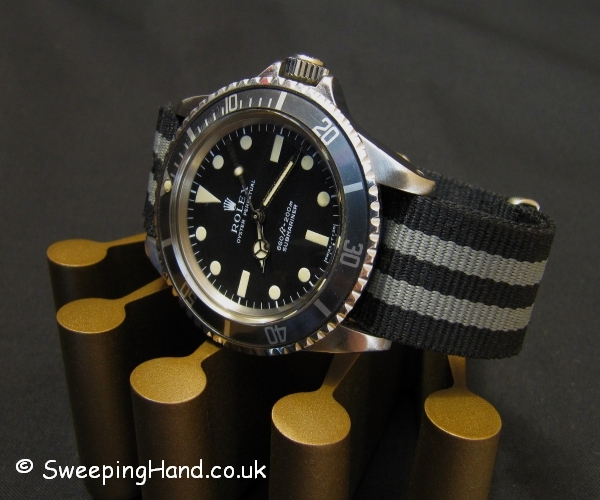 This is the classic Rolex 5513 watch that finally made me understand what all the vintage Rolex fuss was about! Dial & Hands: Perfect Rolex 70’s 5513 dial with no chips or marks whatsoever. Dial has a beautiful dark grey tone that is complimented by original cream hands and hour markers. Case & Caseback: Thick strong clean case that is correctly stamped ii72 and 5513 inside the caseback. Beautiful faded grey insert with matching pearl/pip. 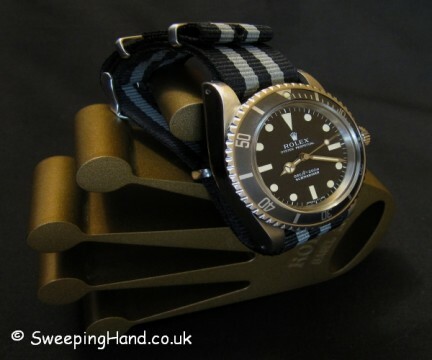 Movement: Original Rolex serviced hacking 1520 movement in excellent condition. Bracelet: Comes with an original Rolex 7206 folded link bracelet in excellent condition stamped 7-72, correct for a Rolex 1972 watch, and a matching grey/black nato strap. 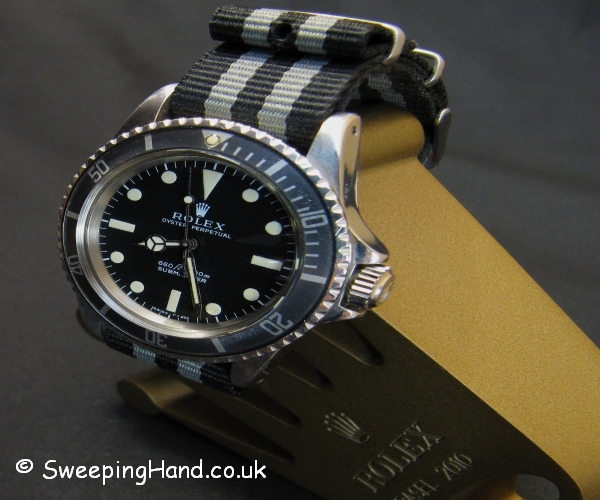 Box & Papers: This watch was given a full mechanical service by Rolex UK and comes with the service warranty certificate and service box. Price: £ SOLD – Contact me if this is what you are looking for. PreviousPrevious post:Rolex PartsNextNext post:Vintage Rolex Website Launches with Free Prize Draw!! It is a beautiful Rolex.. Congrats!! !